The Finnish Meteorological Institute is launching a cooperation project with the Hydro-meteorological Service of Vietnam. The goal is to modernise the country's weather services and thereby to reduce the damage caused by natural disasters. In conjunction with the project, the President of Vietnam will visit the Finnish Meteorological Institute on Thursday, 20 May. The cooperation project with Vietnam was launched officially at the beginning of May. The Finnish Meteorological Institute's local partner is the Hydro-meteorological Service of Vietnam. The project will last two years and the total budget is about 500,000 euros. During the two years, the goal is to automate the production of weather observations, to improve the distribution of radar material and to modernise the provision of weather services. The project will be presented to the President of Vietnam on 20 May, when H.E. President Nguyen Minh Triet visits the Finnish Meteorological Institute as part of his state visit to Finland. In June, personnel from the Hydro-meteorological Service of Vietnam will come to Finland for a study trip. The objective of the ICI project financed by the Finnish Ministry for Foreign Affairs is to minimise the damage caused by natural disasters in Vietnam and, at the same time, to promote economic development in the country. 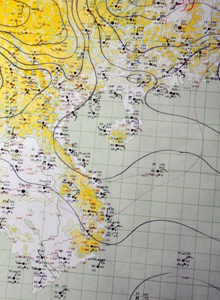 The goal is to improve meteorological technology and observation techniques at the Hydro-meteorological Service of Vietnam. "In Vietnam, natural disasters cause great damage. For this reason, adaptation to climate change and improvement of the weather observation network are regarded as very important there. With the help of good weather and climate services, more efficient measures can be taken to control the adverse effects that climate change and extreme weather events have on the economy and people," says Harri Pietarila, Head of Consulting Services at the Finnish Meteorological Institute. The project is carried out as an ICI project financed by the Ministry for Foreign Affairs. The Institutional Cooperation Instrument (ICI) makes it possible for government institutes and agencies to participate in development cooperation. The goal of ICI projects is to strengthen the capacity of government actors, such as ministries, institutes and universities, in developing countries. At present, the Finnish Meteorological Institute has corresponding projects under way, for instance, in Peru and Nepal and on a number of islands in the Pacific. The Finnish Meteorological Institute has been engaged in various types of development cooperation for 20 years in about 50 countries. Finland's contribution to development cooperation in the field of meteorology is the second greatest in the world after the United States.